ONYX 12.2 RIP and print workflow software delivers accelerated speed and performance, a simplified user interface and advanced finishing tools to do more in less time. Contact us using the form below for more information on any of our products or to schedule a demo of ONYX 12.2. • Optimized color calculations for increased RIP and data transfer processing speeds. • Increased productivity directly improves the bottom line by processing more files in less time with record benchmark RIP speeds. 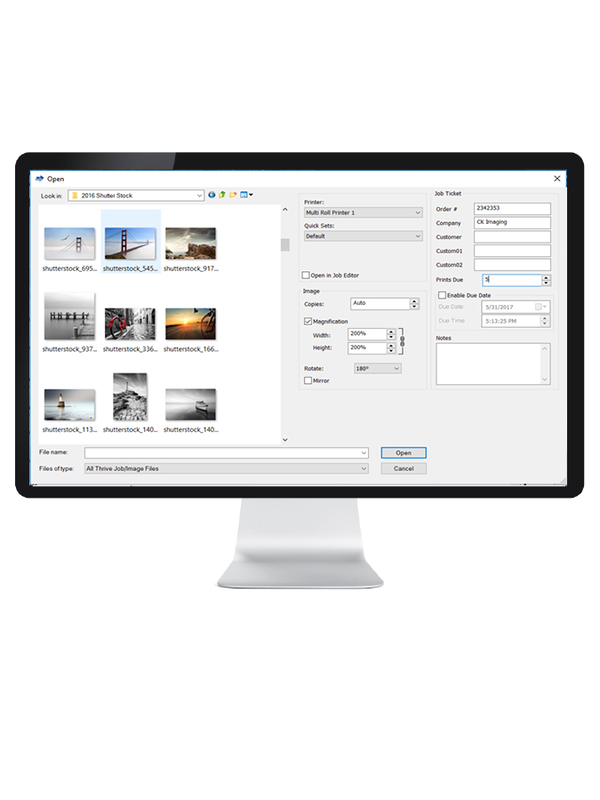 • Save hours on large file data transfer speeds to enable more print jobs per day. • Maximize your hardware investment with a fully integrated 64-bit platform to setup jobs, move files and open applications quickly. • Boost overall performance with the latest 64-bit Adobe® PDF Print Engine and JAWS RIP updates. • Multi-roll functionality to print more in less time with an intuitive user interface, switching rolls automatically to print jobs in the queue. 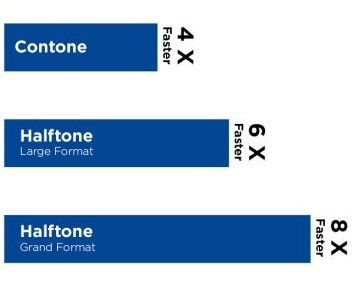 • Simple, integrated G7* process improves gray color for output consistency across multiple devices and applications. • Avoid wasted sheet media and increase production efficiency with an intuitive user interface and visual nesting previews. • Identify jobs and navigate quickly with a new color managed visual RIP-Queue that introduces thumbnail previews and displays edits on the fly. 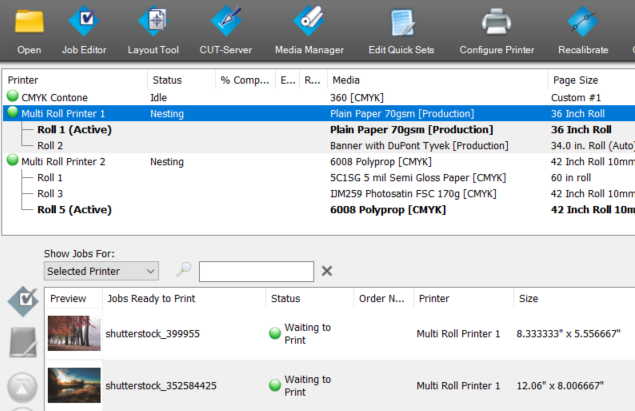 • Simultaneously view printer information, nesting previews, and job details in a single application window with a clean look and feel. • Reduce time on production with job scaling and rotation from the file-open dialogue before sending jobs to the RIP-queue. • Enhanced tiling and automatic cut path generation with onscreen previews simplifies job set up and production. • Create prints with a versatile grommet mark tool and preview cut paths around tile boundaries to significantly reduce time in the final stages of production. • Bleed tool allows you to produce a variety of new applications and improve existing workflows, without the need to redesign the original artwork. • Have confidence applying white and specialty inks to any file type using the redesigned Spot Layer Tool. 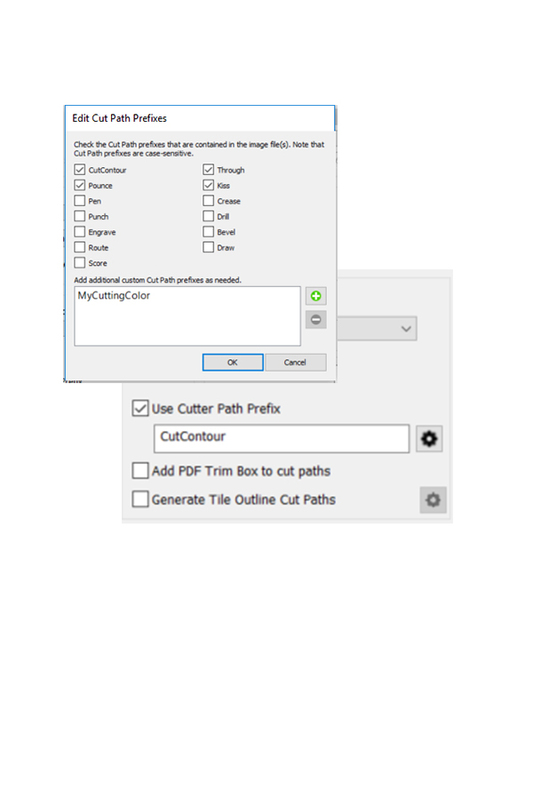 • Enhanced cut workflow with multiple cutting path prefixes and cutter device settings improving automation with print and cut workflows. • Easily automate job preparation and finishing tools to reduce manual entry, mistakes, and wasted media. • Build automated workflows around custom production needs and design preferences based on media, bleed, trim, art, or crop boxes. • Quick Sets 2.0 provides a new user experience with the addition of application tools and a simplified interface. ONYX Advantage software maintenance provides a cost effective way to keep your RIP and workflow software current and gives you all of the latest features in ONYX 12.2. You can gain immediate access to ONYX software upgrades, versions and releases as well as availability to the hundreds of new and existing printer drivers. As an added benefit, ONYX Advantage contract holders have access to an expansive library of on-demand videos covering product training and application support. Upgrade your system to ONYX 12.2 today by purchasing an ONYX Advantage software maintenance contract. Contact us using the form below for more information on any of our products or to schedule a demo of ONYX 12.2.